What are you interested in? Office? Desk? Membership? Weekdays between 9am - 5pm. Pick a time or drop-in! 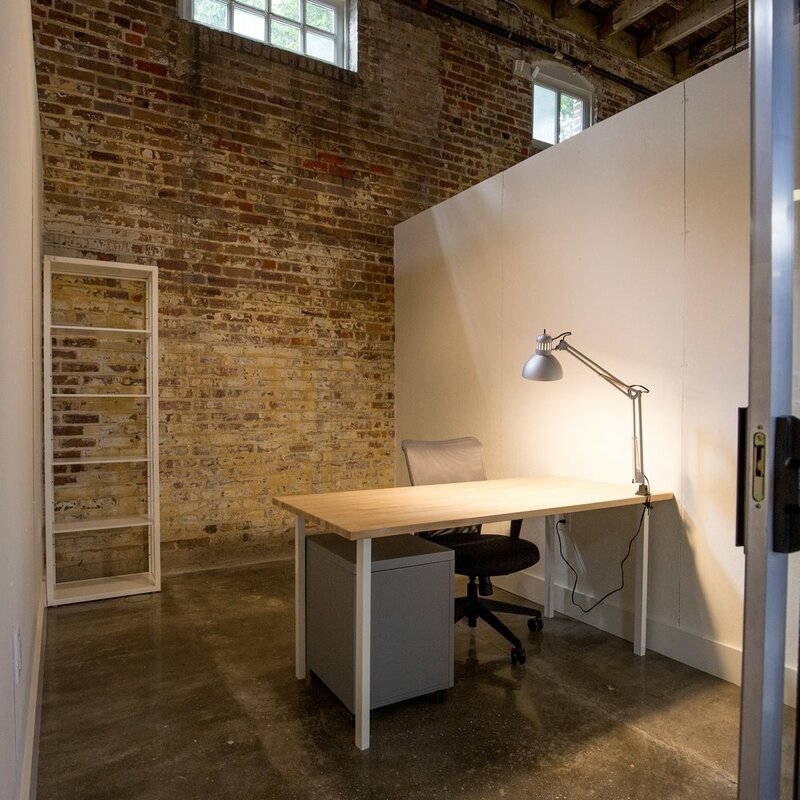 The Warehouse offers private offices, permanent desks and flexible coworking memberships in the Bywater neighborhood of New Orleans. Members at the Warehouse come from a variety of industries and backgrounds but share a common desire to work in a welcoming environment, around other individuals who respect each other's time and space. Come check it out! Thank you! Our team will reach out to get you started! Access all the benefits of a coworking membership for the day. Available for Monday-Friday 9a-5p. Access all the benefits of a coworking membership for 10 days. Doesn't expire, so use multiple months. Contact us or stop by between 9-5 to see the space for yourself! The Warehouse features three conference rooms that are available for booking by all members and can be rented by external parties. Companies and non-profits that rent our conference rooms tell us they enjoy the change in scenery and find our spaces stimulating for creativity and collaboration. Pricing information and more details can be found below. For “after-hours” booking or special requests, email hello@workatthewarehouse.com. This room features a two-section heart pine table hand-crafted by The Warehouse's staff. The table easily seats ten and can be separated for a classroom-style arrangement for up to 16 people. The room features an LCD monitor with HDMI cable, a white board, and a local swamp-inspired piece created by local artist Jessica Normington. Pricing: Conference Room #1 can be rented by external parties for $50/hour. This room provides comfortable seating for six people. Also includes an LCD monitor with HDMI cable and a white board. Pricing: Conference Room #2 can be rented by external parties for $25/hour. This room seats 6-8 people, has a large white board and LCD monitor with HDMI cable. The room features a hardwood table hand-crafted by The Warehouse's staff. Pricing: Conference Room #3 can be rented by external parties for $25/hour. *Conference Rooms may be available for rental on evenings & weekends on a case-by-case basis; a $15/hour staffing fee will apply. Drop us a line here, or call us at 504.517.3014. Located at 3014 Dauphine Street, the Warehouse is blocks from the brand new Crescent City Park that stretches along the banks of the Mississippi River, and is close walking distance to great restaurants and cafes. The perfect location for anyone looking for great workspace in a great neighborhood.